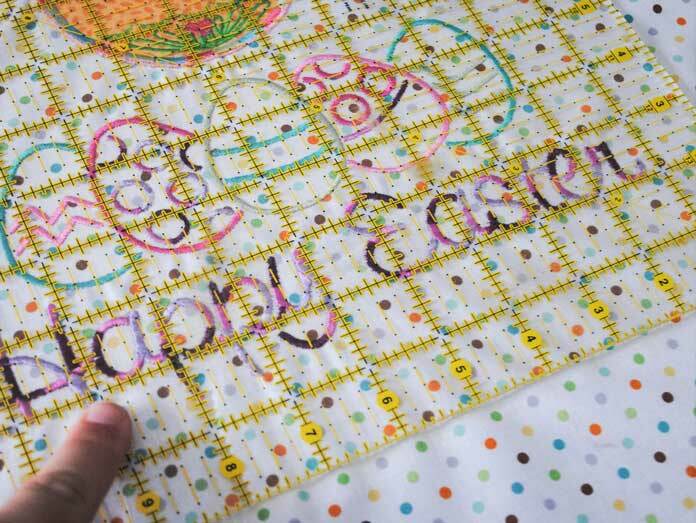 Yesterday on QUILTsocial we used the embroidery unit of THE Dream Machine 2 from Brother to applique and embroider an adorable Easter design on my Jungle Friends fabric from Northcott. Today we’re trimming, adding borders and quilting the door banner. Let’s go! The first thing we’re going to do is trim away the extra background fabric around the embroidery. 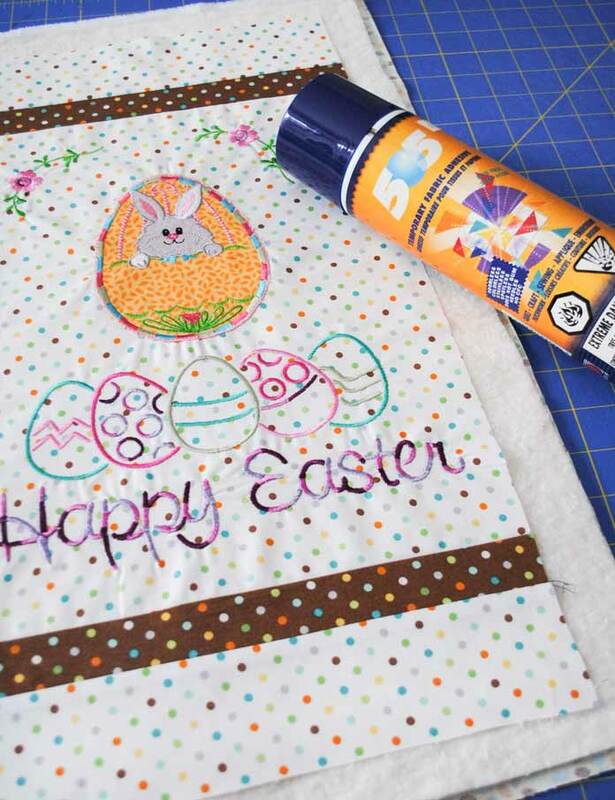 Line up one of the inch markings on your rotary cutting ruler under the bottom of the words and then trim off the bottom fabric. Use this straight line to line up and trim off the sides and top of the fabric so that an even amount is left all the way around. 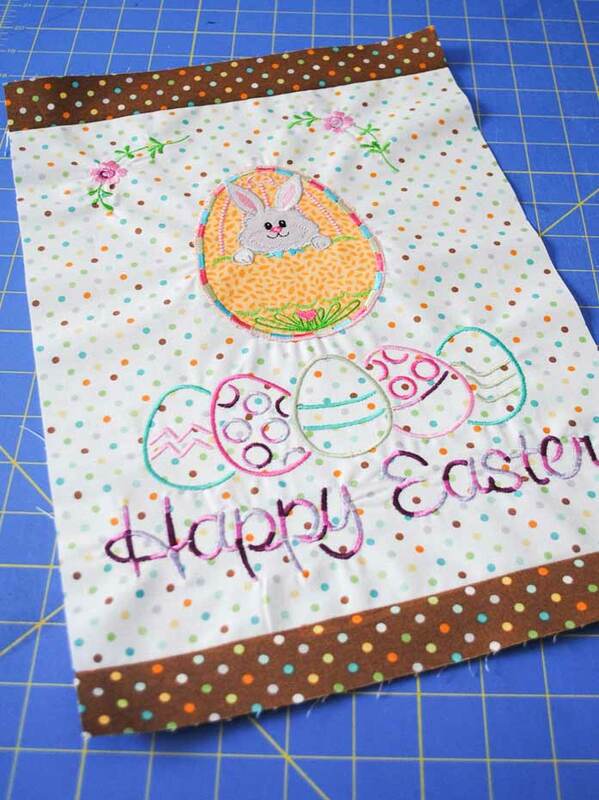 Next, add 1½” sashing strips to the top and bottom of the embroidery background. 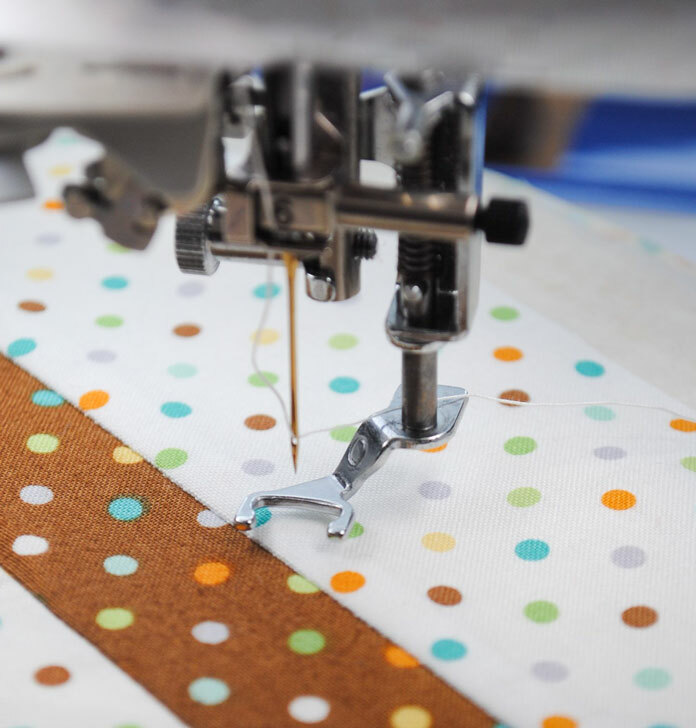 Next 2″ strips of the white polka dot fabric are sewn to these sashing strips. Now I’m going to layer the top, batting and backing and secure everything using Odif 505 Adhesive Spray. 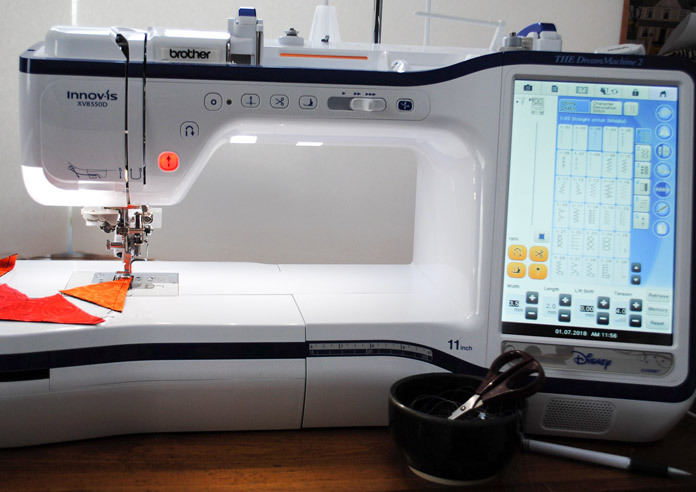 To get THE Dream Machine 2 ready for free motion quilting, we need to replace the embroidery foot with the open toe quilting foot “O”. 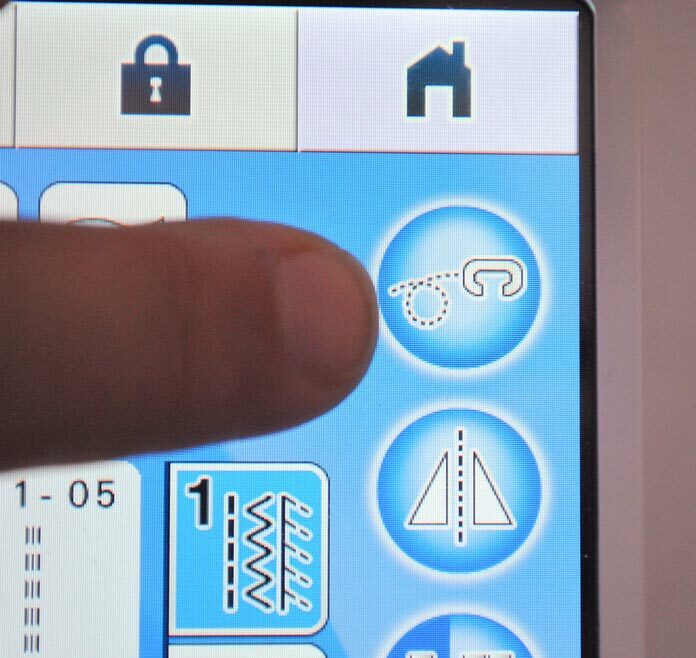 Pressing the “free motion quilting mode” key on THE Dream Machine 2 is all that we need to do to lower the feed dogs and prepare the machine for free motion quilting. So easy!! 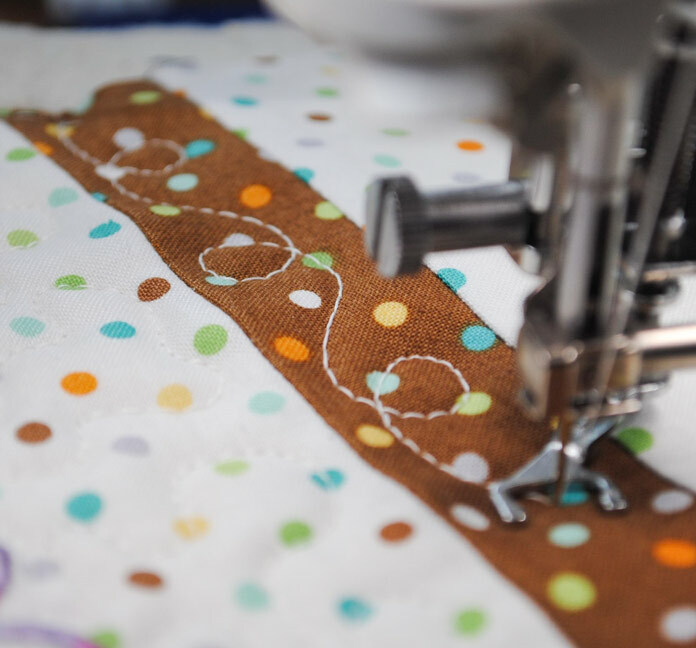 Before doing any free motion quilting on my quilts I ALWAYS do some practice quilting on a quilt sandwich to work out any tension issues with the machine and thread selected. As you can see, the back of my test sandwich shows that the top thread is being pulled through to the back of the quilt. This means that the top tension of THE Dream Machine 2 needs to be increased. 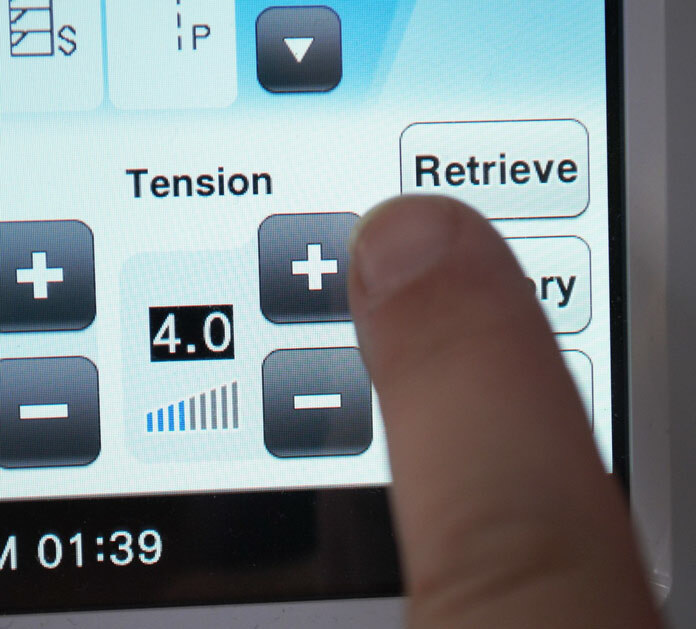 The top thread tension on THE Dream Machine 2 is easily changed by pressing the “+” and “-” buttons on the screen. We’re going to increase by small increments and keep doing sample stitching until the top thread is no longer showing on the back of the quilt sandwich. 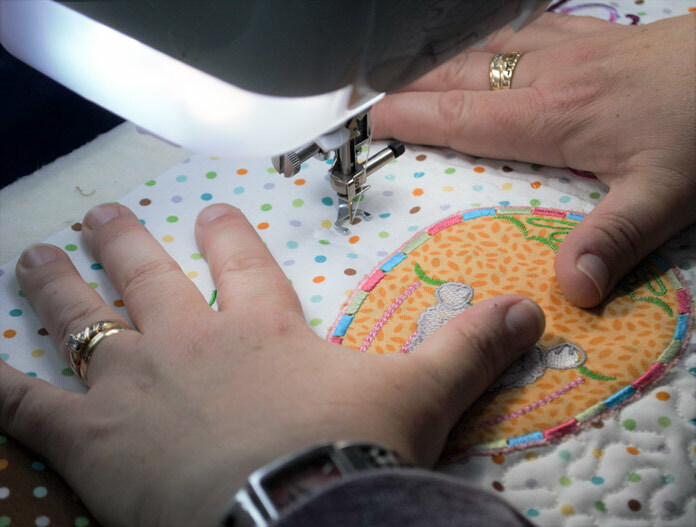 While free motion quilting, make sure that your hands are positioned so that they circle the needle of the machine. This gives you the most control over what is happening under the needle. I used a simple free motion stippling pattern in the background of the banner. 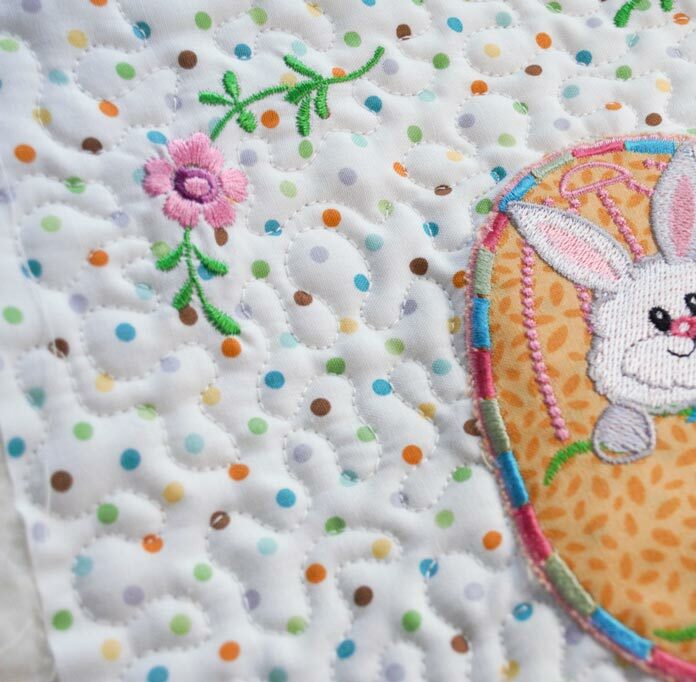 If you’d like to see lots of different free motion embroidery designs, check out my QUILTsocial posts from August 2014. I free motion quilted my favorite loop-de-loop pattern down each of the brown sashing strips. 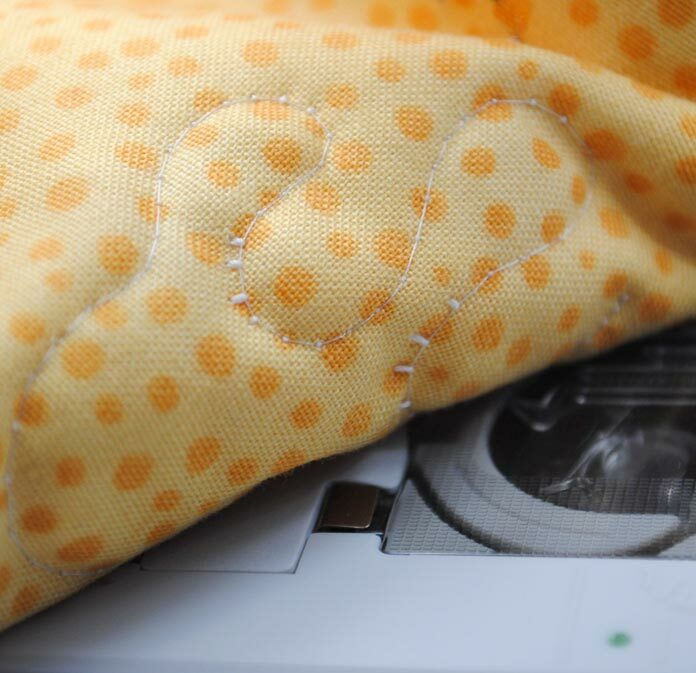 Now that our banner is quilted, tomorrow we’ll trim off the excess batting and backing, add our binding and sew on some buttons using THE Dream Machine 2‘s awesome button foot! See you tomorrow.